SaveMoneyCutCarbon has strengthened its business development team to build partnerships, affiliations and strategic marketing in 2014, helping UK homes and business cut consumption of energy and water. Oliver Tulett joins the team to expand SaveMoneyCutCarbon’s range of business partnerships and affiliations, which are a major element in the company growth plan. The marketing team will also continue to focus on the company’s online portal, the UK’s leading destination for energy and water-saving solutions. Oliver will also be working to share expert knowledge, research, news and case studies through online social/business networks. Oliver has amassed a wealth of experience with global brand Apple as well as with a leading online retailer where he guided marketing strategy, including content building, social media, SEO, website design and paid search. Mark Sait, managing director of SaveMoneyCutCarbon says: “We welcome Ollie to the SaveMoneyCutCarbon team and know that he will be a valuable addition to the marketing strategy as our company continues its rapid growth. Oliver says: “I wanted to join SaveMoneyCutCarbon as the solutions they provide really can make a huge financial and cultural difference to people and companies. 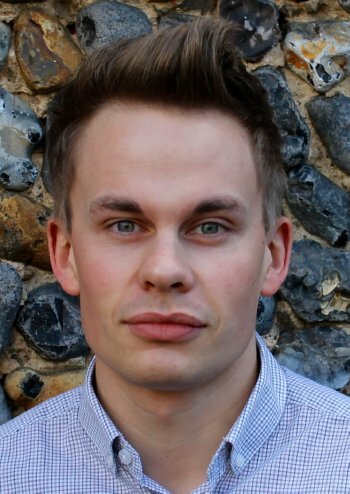 Oliver holds a First Class honours degree in Business Marketing and his interests include snowboarding, travelling and seeing the world, particularly European cities. He also has a keen interest in music, with gigs and summer festivals always near the top of the leisure-time list. Oliver has produced a simple, hassle-free guide to LED lighting on our blog. You can talk to Oliver and the team about simple, effective, sustainable ways to reduce your energy consumption, cut your bills and shrink your carbon footprint on 0845 123 5464 or email us for more information.